This page deals with the most common bacterial diseases and pests that either cause death to the tree or irreparable damage. 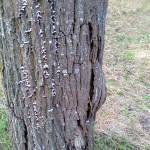 This bacterial disease has a devastating effect on the Willow Tree. Once detected in the tree it has to be cut down and burnt. The bacteria grows and multiplies, spreading rapidly both upwards and downwards in the wood vessels, which are also transporting water from the roots. As it grows it secretes substances which ooze through the walls of the vessels producing the watermark stain. 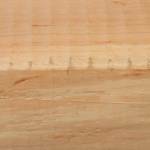 Death quickly occurs when the bacteria reaches newly formed wood and early identification is important in the control. 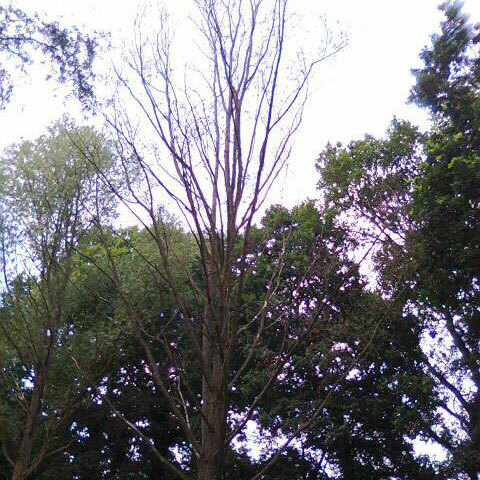 This is a photo of a young tree with the disease but it can occur in all ages and sizes of tree and this is how you can recognise it, see the dead leaves on one branch on the lower left side of the tree, that shows the tree has watermark. It can be confused with squirrel damage or even when a branch has been broken and it dies off or with Honey Fungus disease (see later). If you are unsure, ask one of our Directors to call, if you grow trees for us. For our growers we cut the trees and salvage what we can, if anything, sometimes we have to charge if there is no salvageable timber. It can just affect one side of the tree and not all the way around, so if it is large enough some wood can be used. There is evidence from large estates that cutting and burning down the diseased trees keeps it in check and under some control. We are finding watermark more and more and we put it down to the more wet and warm weather occurring through climate change, as we always seem to get more when this happens especially when it is very hot and humid with rain preceding this weather, although some people think it is bad when there is too much water. One hypothesis and study is thought to have shown that every willow tree has watermark in it but it takes a catalyst (that is not known, maybe something in the soil) to make it appear in the tree, although we believe it is spread by wind, insects and / or birds as it is often seen in an area of trees along the direction of the prevailing wind and in close proximity to others, but why all the nearby growing trees do not get it remains a mystery. In Belgium there were tests carried out and in areas that have significant more nitrogen in the soil had more disease. In the UK trials of the 1970’s and early 80’s it was found in the vegetation around the bottom of the trees as well. 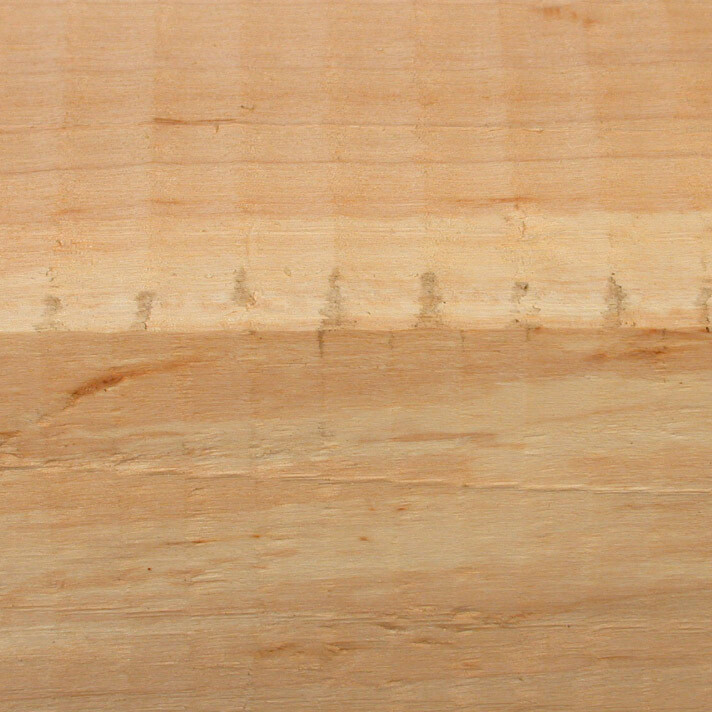 The photos here show what it looks like in the cross section of a tree and also if it were sawn into a blade, the black line is the watermark. This is a fungus that will kill the tree. It can travel to adjacent trees very quickly through the root system and is hosted in the ground by varieties such as blackthorn which it does not kill. However it effects many other varieties with terrible speed and if not caught in the very early stages renders the Willow tree useless. It turns the wood into a grey mass which is very light weight and contains no moisture. This is a large moth that chews a hole through the bark of the tree. Normally from the bottom where there is already a crevice in the tree or it can make a chamber under the outer bark. It lays larvae in the metre long hole which feed on the surrounding wood. This moth is quite rare and is only normally found in old or damaged trees where it can gain easier access. 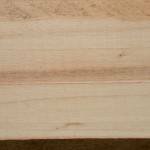 This is the same woodworm that is abundant in the UK. 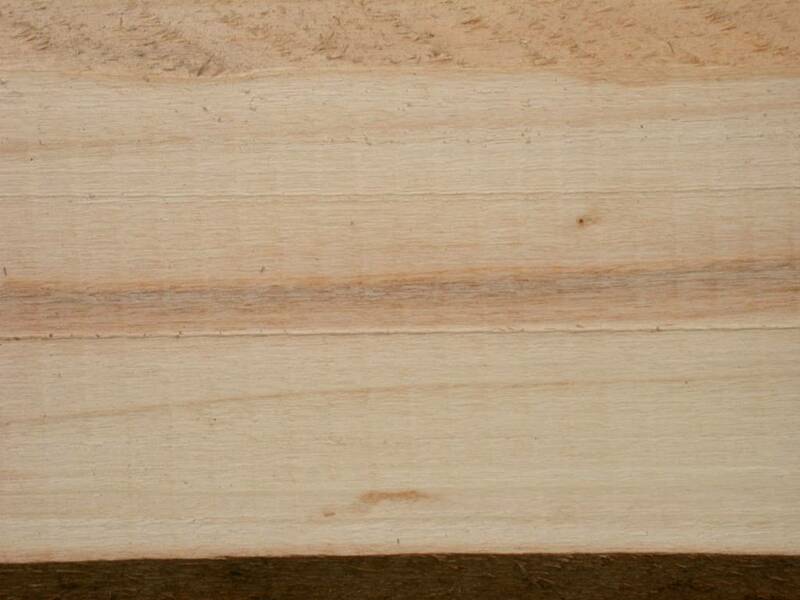 It is only really found in very old and / or damaged trees and even then just in the sapwood. If there is any sign of woodworm in either a tree or a blade in the yard it is burnt immediately using this method ensures there is no risk to the graded blades. Damage caused to a set by deer where no guard was fitted, the set will now die. The animals we include in this are rabbits, hares, deer, sheep, horses and cattle. The rabbits, hares and deer will do most damage in the young sets once they have been planted. The bark is very tasty for these beasties so every precaution must be taken not to give them the opportunity to eat it, we now offer metal guards at a reasonable price to protect trees from deer. 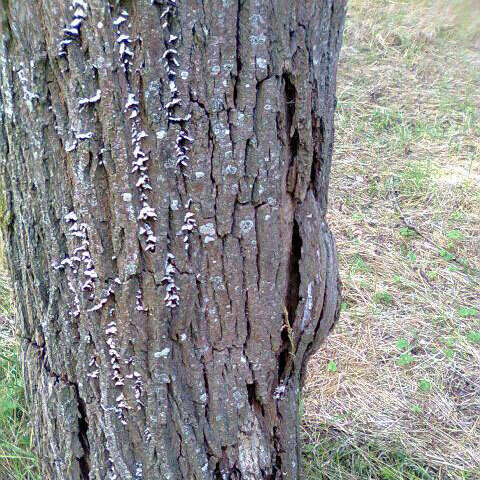 Horses and cattle can do irreparable damage to any age of tree which they get their teeth into. There are tree guards on the market to deal with the smaller animals however horses and cattle need to be fenced off completely from the trees themselves. Until the trees reach 4-5 years old, sheep have a tendency to push them over, so we do not recommend that areas around the trees are grazed until after this period. 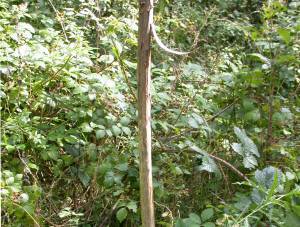 This photo shows where a deer has trodden down the rabbit guard and eaten the bark, killing the tree. The first signs of squirrel damage normally occurs in the top of the tree where the squirrel will “Ring Bark” the branches. Then they will strip the bark of the trunk of the young trees, eventually killing the whole tree. The only way to combat the problem is to control the numbers of squirrels. The giant willow aphid, Tuberolachnus salignus, dispite its large size, little is know about its biology, lifestyle and distribution. They can be found on willow from August until early March and , unlike almost all other aphids, can be active in cold winter weather. They lay eggs and produce live young (Nymphs) so numbers can build up very rapidly. On mature trees even quite large colonies of the aphids can be tolerated but the damage is more significant on younger plants. 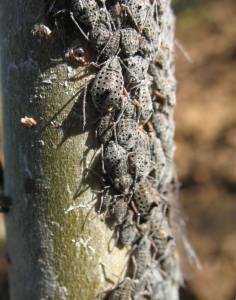 Tuberolachnus Salignus is also known to be a pest on the canes of willows grown for basket making. The aphids disappear in March for 4 or 5 months and nobody knows where they go to. It is not known whether they would be a problem through the spring and summer, but look out for their reappearance in the nursery from August onwards. They are large aphids, about 5mm long, and the adults have a distinctive thorn-like process on their backs (the smaller nymph stages don’t have this). An insecticide application as soon as they are seen should prevent the build up of another large population, but a further application might be needed after 4 to 6 weeks. There are a number of aphicides approved for use in nurseries. Unfortunately the greatest pest of the English Willow tree is Man. 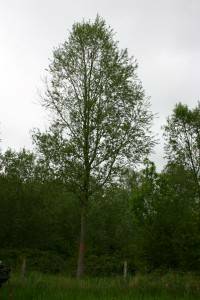 They bang nails into trees, cut the roots with a digger or plough, cut branches off for no apparent reason, not bother to trim the side shoots, accidentally spray weedkiller onto the leaves, burn under a tree, hitting a tree with an implement, please, look after your English Willow Trees.